today was quite a tuesday. monday had already started the week off with a busy tone and really didn’t let up with the rise of a new sun. 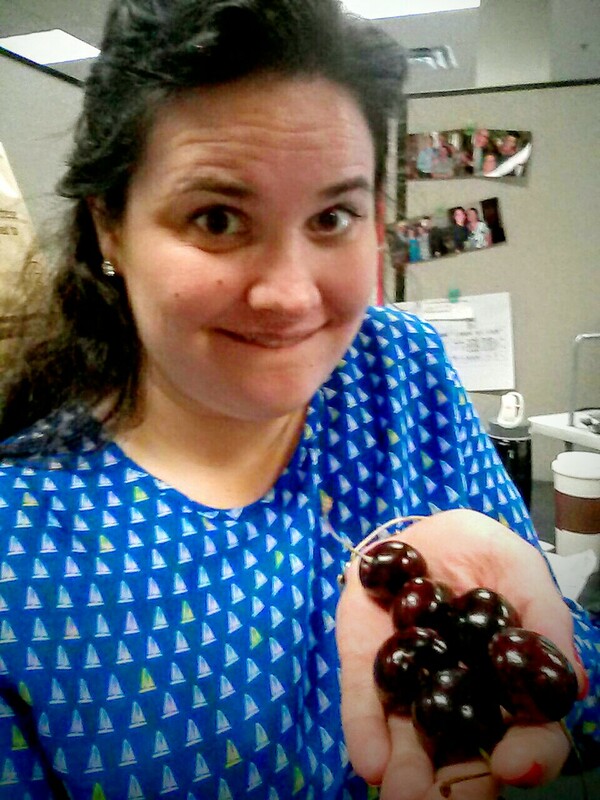 i dropped by the office of my coworker robert for a few minutes of sanity when i saw on his desk a bowl full of cherries. without hesitation he offered me a whole handful, and i was grateful for this small act of kindness between friends. sometimes it’s a simple gesture like this one that can keep your attitude positive amidst bombarding e-mails and unruly software. cherries have always been one of my favorites. i remember growing up and going to the grocery store with my mom. we would grab a bag of cherries (typically when they were on sale; they aren’t the cheapest but so worth the money!) and on the ride home we’d eat nearly half. man, thinking about it now makes me wonder where the time has gone. i’d do a lot for another childhood day back in birmingham. do i have to grow up just yet?